The United States did not see South Korea as a critical strategic asset, but the Soviets and the Chinese saw an opportunity. The Soviets had suffered a defeat in Berlin when their blockade failed because of the American airlift. They also saw Korea as a threat to Vladivostok should the US regain interest. The Chinese were similarly concerned about a later shift in American interest and wanted to expel the Americans from the peninsula. The fact that doing so would also increase pressure on the United States in Japan was another consideration. 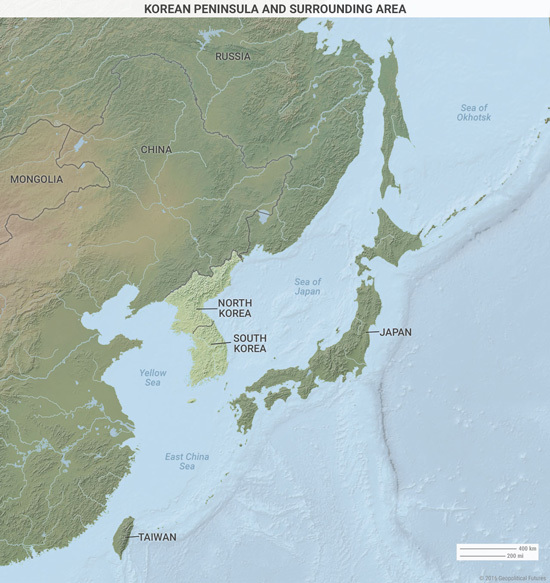 Japan was critical to America’s successful containment of Russia, as Japan effectively blocked Soviet access to the Pacific from Vladivostok. A Soviet naval base at Busan, Korea, might pose as both an offensive threat and a defensive solution. 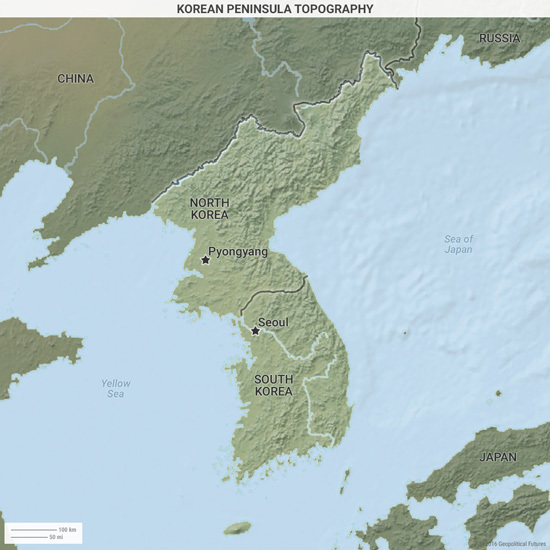 Again, it was Korean geography that mattered. As the Americans moved rapidly forward, they approached the Yalu River in the northeast. Their advance threatened both the Chinese and the Russians, who could not accept a large American force along their borders. Therefore, the Chinese—again to the surprise of US intelligence—drove a large force southward, pushing the Americans back. The initial Chinese attack resulted in a rout, but in the end, the Americans were able to stabilize their position and impose heavy casualties on the Chinese, ending the war in an armistice that looked much like the status quo prior to the war. North Korea also needed a more credible threat than its massed force begging for a carpet bombing. This need engendered its nuclear program. 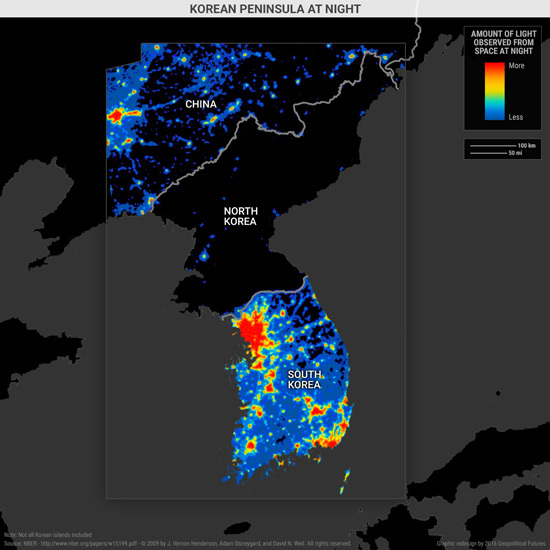 [https://geopoliticalfutures.com/the-significance-and-insignificance-of-a-north-korean-hydrogen-bomb/] The program enhanced the consequences of irrational action. It was an obvious bluff, since resorting to a nuclear attack would guarantee the annihilation of the regime—and possibly the nation. Rationally speaking, North Korea couldn’t possibly launch a nuclear strike. Therefore, it was critical for North Korea to appear irrational. Only apparent irrationality, meticulously managed, could convince the Americans, South Koreans, Japanese, Russians, and Chinese that North Korea was utterly dangerous. But the regime’s apparent irrationality had to be calibrated in such a way that North Korea’s dangerousness was never so credible or imminent that someone would preemptively attack it. It had to preserve the regime and paralyze its opponents without forcing military action by its adversaries. March 21, 2016, 7:49 p.m.
And once again, the people who did not participate in the creation of the bluff, or the fulfillment of the policy suffer. Thanks for a great article.